In a surprising move, Apple has now taken the number one spot in being considered the most valuable brand over Coca-Cola. Coke has for 13 years been able to maintain the number one spot due to the company’s ability to advertise anywhere and everywhere. Coke is a staple in the soda industry due to its global allegiance and recognition. Coca-Cola has been able to not only market their products with television and radio commercials, but also by special labeling through sponsorships. Being one of the most successful and profitable brands, it is surprising to see that Apple has been able to surpass Cokes brand value. This brings about several questions. Is Apple’s innovation what makes them now the leader? Is Coke somehow losing consumers? Or is Apple simply taking the lead due to recent releases of products? Many of these questions have various answers, but the most important thing to note is that Coca-Cola is not losing value or recognition. On the contrary, being already a large company with global recognition, Coca-Cola still has plans to market to consumers whom they have never marketed to before. For instance, due to Pepsi being the leader in the market of soda in Russia, Coca-Cola plans on heavily advertising during the Olympics in Russia. 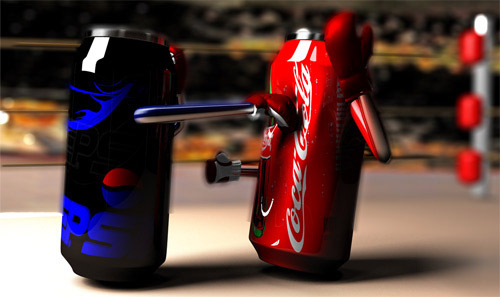 Coke plans on taking over the market through local advertisement and large exposure brought by the Olympics. Coca-Cola has been successful in dipping its hand in a variety of different markets by sponsoring athletes, products, and businesses. Through market strategy, Coca-Cola has remained relevant. Apple tends to market its products the same way through different forms of media. It has been considered number one in brand value partially due to the cult following have with its products. Most recently, the iPhone 5s was released and although it is essentially the iPhone 5 with some tweaks here and there, it was still able to produce a groundbreaking release. Last year when the iPhone 5 was released, five million units where sold, while this year the iPhone 5s produced a whopping nine million unit release. 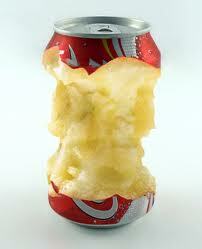 Thus, through globalization and advertising, Apple has been able to continue being successful. 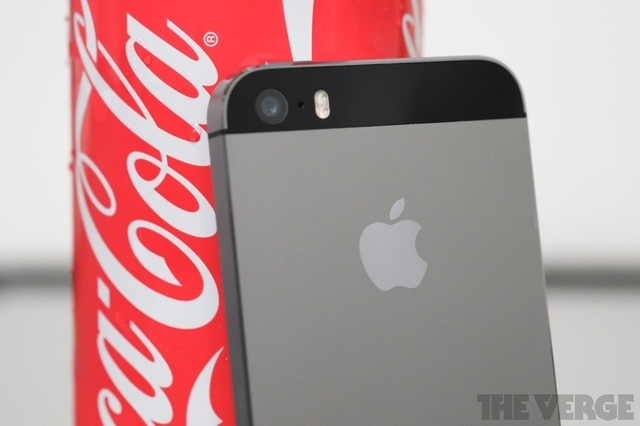 Both Apple and Coca-Cola have a tremendous brand value. However, I believe that because of how relevant Apple is in society and how it markets to its consumers it has been able to create more brand value. Coca-Cola has been a household name for many households for a very long time, and now Apple is becoming a staple in people’s lives. Through offering a large range of products, Apple has been able to become leader in brand value. On September 10, 2013 Apple will host its highly anticipated annual release event in Cupertino, California. Here they will introduce new products into the market. This years speculations are that two new iPhones will be introduced. The first being the iPhone 5C which according to leaked images and rumors will be offered in a variety of colors as well as be built with plastic materials which will lower the price. The second iPhone, which is expected to be called the iPhone 5S, will feature a faster processor, better camera, and fingerprint sensor for the home button. The iPhone 5S is also rumored to be available in a gold color. Third rumor for the apple event is the release of a possible new Apple TV. The much-anticipated iOS7 is also expected to finally make its appearance to the public. With all this new technology expected to be released, Apple has done its usual secretive yet suggestive advertising, which spawns the many rumors behind the event. Apple events are always some of the most highly anticipated and covered technological events. 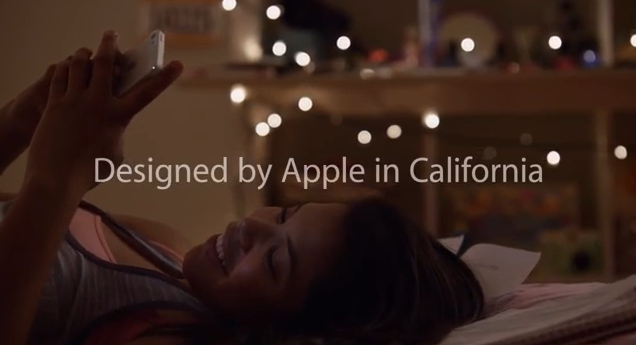 This means Apple receives a lot of advertising whether it is intentional or not. For example, many technology websites have been continually writing about the possible releases which in turn sends users to the Apple website to research more. Thus, the coverage Apple receives whether it is negative or positive generates a steady stream of talk and advertisement for the company. One of the more creative ways Apple has advertised their event on September 10th is by releasing an image of the Apple logo in front of what appears to be bubbles in all sorts of colors, with the caption reading “This should brighten everyone’s day.” Simple yet elegant advertisements like these rile up Apple fanatics because it implies that something is to be released that will surely satisfy those waiting. Yet, because the advertisement does not have any specifics as to what exactly will brighten up consumer’s days, Apple consumers become more eager to purchase or at least watch the event. In the past, Apple ads have always included simple, sentimental teasers that give the illusion that the product is a one of a kind that cannot be competed with. Even though Apple ads tend to be simple, they are all meant to sell the consumer a product. Colors, music, captions, and logos all play a part in attracting the consumer into paying closer attention to the ad and falling in “love” with the product. For example, a recent T.V. ad for apple shows a variety of different people of all ages and ethnicities, doing everyday things all while a simple tune is played in the background and ending with the narrator of the commercial stating that the “signature” of Apple is everything. Ads like these tend to hit an emotional side for the consumer; the commercials goal is to relate to the consumer in every way. In this commercial, it almost feels as though everyone with an Apple product is a family, everyone is connected in some sort of way. With Ads like these, Apple has created a loyal fan base that remains true to their preferred company. On September 10, 2013 Apple will host its highly anticipated annual release event in Cupertino, California. Here they will introducenew products into the market. This years speculations are that two new iPhones will be introduced. The first being the iPhone 5C which according to leaked images and rumors will be offered in a variety of colors as well as be built with plastic materials which will lower the price. The second iPhone is expected to be called the iPhone 5S, will feature a faster processor, better camera, and fingerprint sensor for the home button. The iPhone 5S is also rumored to be available in a gold color. Third rumor for the apple event is the release of a possible new Apple TV. The much-anticipated iOS7 is also expected to finally make its appearance to the public. With all this new technology to be released, Apple has done its usual secretive yet suggestive advertising, which spawns the many rumors behind the event. Apple events are always some of the most highly anticipated and covered technological events. This means Apple receives a lot of advertising whether it is intentional or not. For example, many technology websites have been continually writing about the possible releases which in turn sends users to the Apple website to research more. Thus, the coverage Apple receives whether it is negative or positive generates a steady stream of talk and advertisement for the company. In the past, Apple ads have always included simple, sentimental teasers that give the illusion that the product is a one of a kind that cannot be competed with. Even though Apple ads tend to be simple, they are all meant to sell the consumer a product. Colors, music, captions, and logos all play a part in attracting the consumer into paying closer attention to the ad and falling in “love” with the product. For example, a recent T.V. ad for apple shows a variety of different people of all ages and ethnicities, doing everyday things all while a simple tune is played in the background and ending with the narrator of the commercial stating that the “signature” of Apple is everything. Ads like these tend to hit an emotional side for the consumer; the commercials goal is to relate to the consumer in everyway. In this commercial, it almost feels as though everyone with an Apple product is a family, everyone is connected in some sort of way. With Ads like these, Apple has created a loyal fan base that remains true to their preferred company.